74 minutes of music. Remastered edition supervised by Claudio Fuiano. 8-page CD booklet with French and English liner notes by Patrick Bouster. Music Box Records is pleased to reissue the complete (slightly expanded) soundtrack of Le Marginal (The Outsider) composed, orchestrated and conducted by Ennio Morricone. 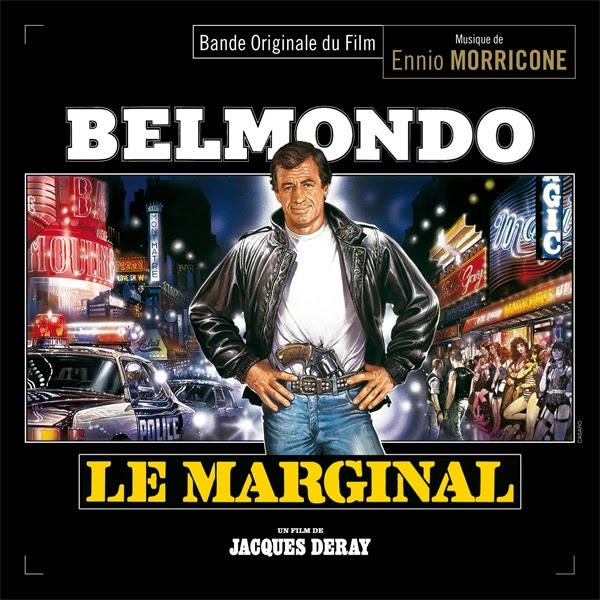 Le Marginal was a 1983 film directed by Jacques Deray (La Piscine, Borsalino, Trois hommes à abattre) and starring Jean-Paul Belmondo, Henry Silva, Carlos Sotto Mayor and Pierre Vernier. The story is about Commissioner Jordan (Jean-Paul Belmondo) who arrives in Marseille to combat drug trafficking activities in his own unique way. After scuffles with local mafia godfather Mecacci’s men, as well as with his own superiors, he is transferred to Paris. Soon at loggerheads with various criminal elements, he turns to a resumption of the pursuit of drug kingpin Sauveur Mecacci (Henry Silva). The composer, in an unusual move, used a rock theme which would resurface in Copkiller that same year of 1983, and in Frantic in 1988. This urban score features numerous variations both similar and far off, from the most melodic (a catchy theme on oboe, which is both simple and elegant) to the harshest (tensed and percussive pieces). The soundtrack of Le Marginal has been issued numerous times. The soundtrack LP was first issued by General Music in France in 1983 with a 10-track program. In 2002, GDM released an expanded edition with a 23-track program with a rich and varied presentation far superior to the original disc. It has been sold-out for so many years.